Select the location manager or company admin that requires a new password. Click on the pencil icon to the right of their name and click 'edit'. Input a new password into the password field enter this again in the confirm password field. 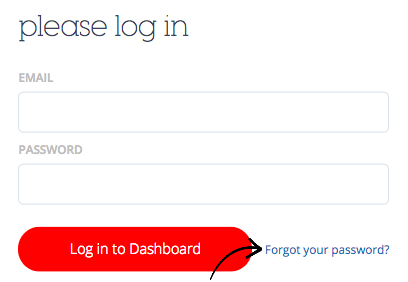 The second method to reset the password is to use the 'forgot my password' link found when signing into the SwipedOn web dashboard. An email will be sent to the email address of the user that requires access (as long as they have had their admin role created) then the password can be reset and access gained. 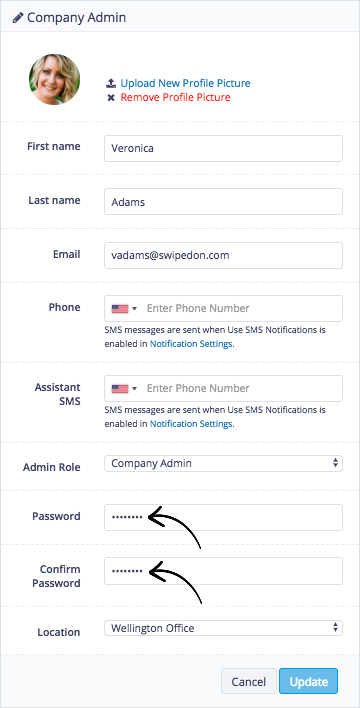 *Please note, you must have a login as a 'Company Admin' or 'Location Manager' to access the SwipedOn web dashboard. *If you are still experiencing issues with accessing your SwipedOn account, please get in touch with us via support@swipedon.com or start a new live chat with us using the live chat function in the lower right corner.